The 6” Pop! 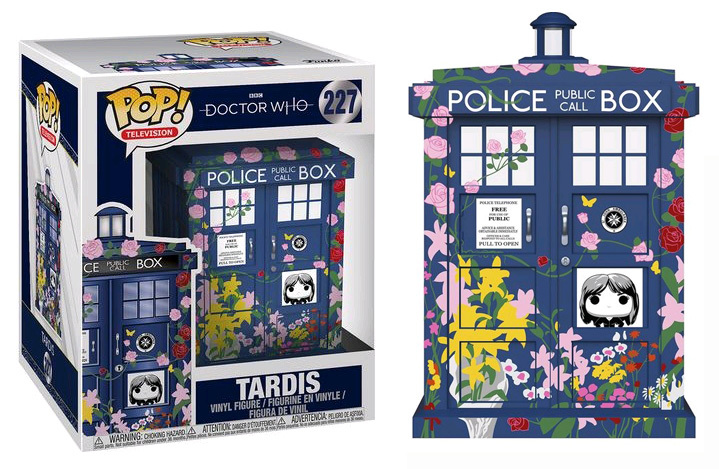 Clara Memorial, a TARDIS covered in a floral motif,will leave you weeping for the beloved companion. I love that it has the funko pop version of Clara that’s really nice!!! Here’s hoping they do the 13th. Doctor & Vashta Nerada as well! Great! When’s it coming to the UK?